If you have black mold in the Hamptons , you should call a mold remediation service immediately. Black mold contains mycotoxins that can be harmful to you and your family, causing various health issues. Watch this video to learn more about black mold symptoms. 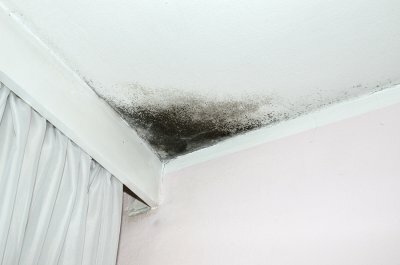 Some of the most common symptoms of black mold include allergic reactions such as coughing, sneezing, and itchy and watery eyes. Prolonged black mold exposure can also cause some individuals to develop asthma. In addition, black mold exposure can result in headaches, decreased attention span, and dizziness. If you think that you are experiencing these symptoms due to black mold in your home, contact your physician and hire a black mold remediation service right away. Do you notice a damp, musty odor in your home? Have you and your family been experiencing allergic symptoms but you’ve been unable to find the cause? If so, it’s possible that you have mold in your home. Professional mold inspection near Long Island will tell you if you do have mold in your house, and how widespread the problem is. Mold thrives in damp, dark conditions, making basements and crawlspaces particularly prone to mold growth. You may also find mold lurking in bathrooms, kitchens, laundry rooms, or in drywall. Keep reading to find out what you can expect from a mold inspection in your home. Before mold remediation can begin, it is necessary to get a full evaluation of your home to make sure mold is identified anywhere it might be hiding. Sometimes, mold growth will be obvious, as it can show itself in green or black growths on surfaces around your home. In other cases, mold can be hidden inside ceilings, walls, and floors, making it difficult to identify based on sight alone. Mold inspection professionals will use the least invasive methods possible to identify mold throughout your home. A thorough inspection is the only way you’ll be able to fully remedy the problem. Once mold has been identified and located, the process of mold removal can start. Mold remediation is a painstaking process that requires specialized equipment, as disturbing areas where mold is growing can send spores into the air. As the spores travel, they could settle on other surfaces, and the problem will only continue. Look for a mold remediation company that uses good industry practices to not only remove the mold that’s present, but also contain the problem so that it does not come back. Eliminating the root cause of mold is also essential, and may involve waterproofing your crawlspace or basement. Without addressing the cause of mold growth, the mold could return. If you’re like many homeowners, chances are you don’t give much thought to your crawlspace. However, in the case of crawlspaces, just because it’s out of sight doesn’t mean it should also be out of mind. Some of the air you breathe in your home may come from your crawlspace, which means that if you have mold in your crawlspace, you could be breathing it every day. That’s just one reason why crawlspace waterproofing in the Hamptons is a wise decision. Keep reading to learn more about the reasons you should consider crawlspace waterproofing. Mold grows quickly, and can spread rapidly throughout areas that are damp and humid. If you do not invest in crawlspace waterproofing, there is a good chance that moisture exists there. Once your crawlspace becomes wet, there’s not much you can do to prevent mold from growing unless you take steps to have the space dried and waterproofed. The problem will recur if you do not address the root cause of the issue. The air quality in your crawlspace will decrease rapidly with the presence of mold, since the space itself is probably not that large. Have you noticed that you experience itchy eyes, frequent sneezing, or other allergic symptoms? It may not just be seasonal allergies if so. 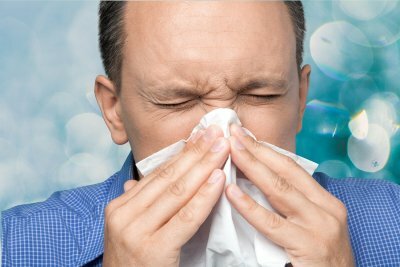 Mold can trigger allergic reactions, and exacerbate existing allergies in certain people. Individuals with respiratory issues are particularly susceptible to the presence of mold. The air from your crawlspace travels into your home, and can carry mold spores if the crawlspace is contaminated. Waterproofing your crawlspace is the most effective way to put a stop to the annoying and uncomfortable allergies that mold creates. Even if you have not noticed a musty odor or felt allergy symptoms due to mold, it could be only a matter of time before you do. Waterproofing your crawlspace can be a precautionary measure as well as a reactive one, helping you prevent the problem of a wet crawlspace before it even starts. Water is necessary for life, but when it’s in the wrong places, it can cause serious damage and the need for mold removal. Your home could experience water damage in the Hamptons for a number of reasons, such as flooding from storms, plumbing leaks, or burst pipes. It is important to take steps to deal with water damage as quickly as you can so that the damage doesn’t get any worse, and so mold doesn’t start to grow. Watch this video to learn what to do if your home has water damage and requires mold removal. If the water damage in your home has an acute cause, such as a burst pipe or an overflowing appliance, the first thing to do is to try to stop the flow of water. This will help minimize the damage so that there is less restoration that needs to happen. A professional water damage restoration company will evaluate the extent of the damage, as some of it may be in places you can’t readily see. Work with the professionals to keep your home’s water damage in check.